Please join ASCE OC & LA for a technical tour of the Metro Crenshaw LRT. Currently in construction, the Metro Crenshaw LRT was one of 12 transit projects funded by Measure R approved in 2008. The Line will travel 8.5 miles to the Metro Green Line and will serve the cities of Los Angeles, Inglewood and El Segundo; and portions of unincorporated Los Angeles County. This tour will be hosted by the Walsh Group (Design Build Contractor) and HNTB (Designer) to discuss construction/design challenges and discuss overall project progress. Lunch is provided at the technical tour. PPEs (orange safety vest, hard hat, safety glasses and steel toed boots) are a requirement for this tour. Prior to its destruction in June 2011, the Phillis Wheatley Elementary School served the historic New Orleans African-American neighborhood of Tremé since opening in 1955. Celebrated worldwide for its innovative, regionally-expressive modern design – the structure had sustained moderate damage during the storms and levee breach of 2005. DOCOMOMO Louisiana advocated for its restoration via adaptive reuse. “A Plea For Modernism” is narrated by actor Wendell Pierce (“The Wire”, “Tremé”). When one thinks of New Orleans, one thinks of its historic 19th century architecture. However, in the 1950’s the city became a hotbed for modern architecture. 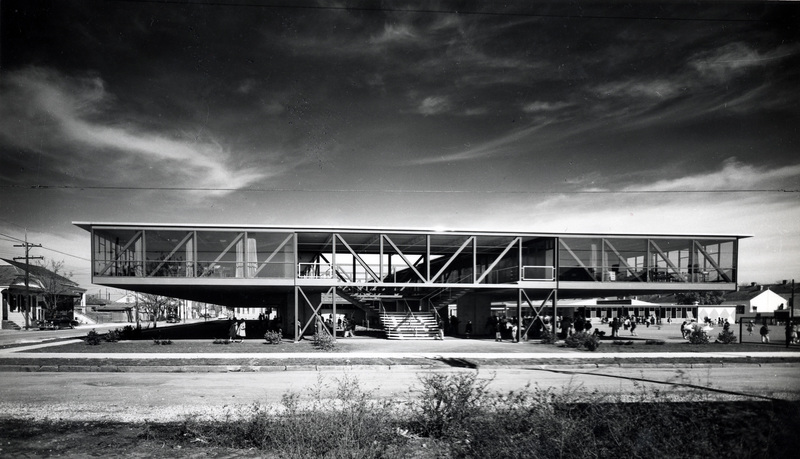 An expanding post-war population demanded new public works – and over thirty public schools were constructed – designed by a cadre of architects who practiced a regional approach to modernism – characterized by innovations in circulation, lighting, and ventilation – just as New Orleans’ historic architecture is sensitive to site and climate. These schools were models of regional modernism – inventive designs which are of a place, by a place, and for a place. However, this significant architecture is rapidly disappearing from the urban fabric of New Orleans. Of the thirty schools built, only four are are left standing – three of which are threatened by demolition. 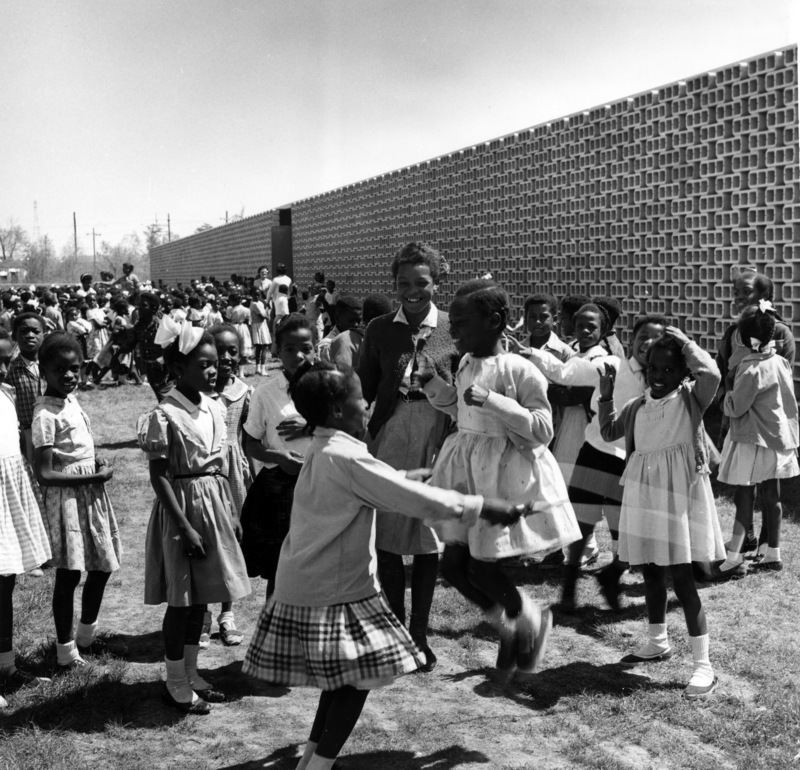 Sadly, the Phyllis Wheatley Elementary School of New Orleans sustained too much damage as the fourth, and was demolished in June 2011, a loss for the city and history of modernism. Origami by Robert J. Lang: Join origami master Robert Lang for a gallery talk about the beautifully complex folded art he created for his current installation at The Huntington. (The exhibit ends Jan. 29.) A book signing follows the informal talk. Free; no reservations required. Brody Botanical Center. When: January 28, 2017, 2 p.m.
Doug Aitken: Electric Earth: For more than 20 years, Doug Aitken has shifted the perception and location of images and narratives. His multichannel video installations, sculptures, photographs, publications, happenings, and architectural works demonstrate the nature and structure of our ever-mobile, ever-changing, image-based contemporary condition. With a profound knowledge and understanding of the history of 20th-century avant-gardes, experimental music, and cinema, and an intimate kinship with the protest movements of the late 1960s, Aitken has invented a unique immersive aesthetic. Rooted in interdisciplinary collaborations, and the broad availability of images and the vulnerability of individuals, his work accounts for the cool but relentless human, industrial, urban, and environmental entropy that defines 21st-century existence. When: 12:00 p.m. – 6:00 p.m. every Wed., Thu., Fri., Sat. Enchanted: Forest of Light at Descanso Gardens: Enchanted: Forest of Light is an interactive, nighttime experience unlike anything else in Los Angeles, featuring a one-mile walk through 8 distinct lighting displays in some of the most beloved areas of Descanso Gardens. Tickets are timed and must be purchased in advance. Enchanted: Forest of Light is a rain or shine event.